With a couple of free evenings I decided to get the rods out on a pool after carp. It’s not a runs-water and that’s a fact. On the other hand, when I have been carp fishing on there, I’ve had a very good average of 20lb + fish. Sitting it out for something decent suits me, although on both occasions that’s exactly what I did – sit it out. Still, as I often say, my bait was in the water so at least I had a chance. Judging from no camera flashes showing from around the venue, none of the other anglers caught either in the time that I spent on there. For me, angling is not competitive but it does help to bring your own fishing into perspective when you know what others are – or aren’t – catching. If you’re on a venue where no-one is catching, it gives you a pointer of how tough it is. On the other hand, if everyone is up and down like a jack-in-the-box while you’re sitting there over silent alarms, something is obviously not quite right. 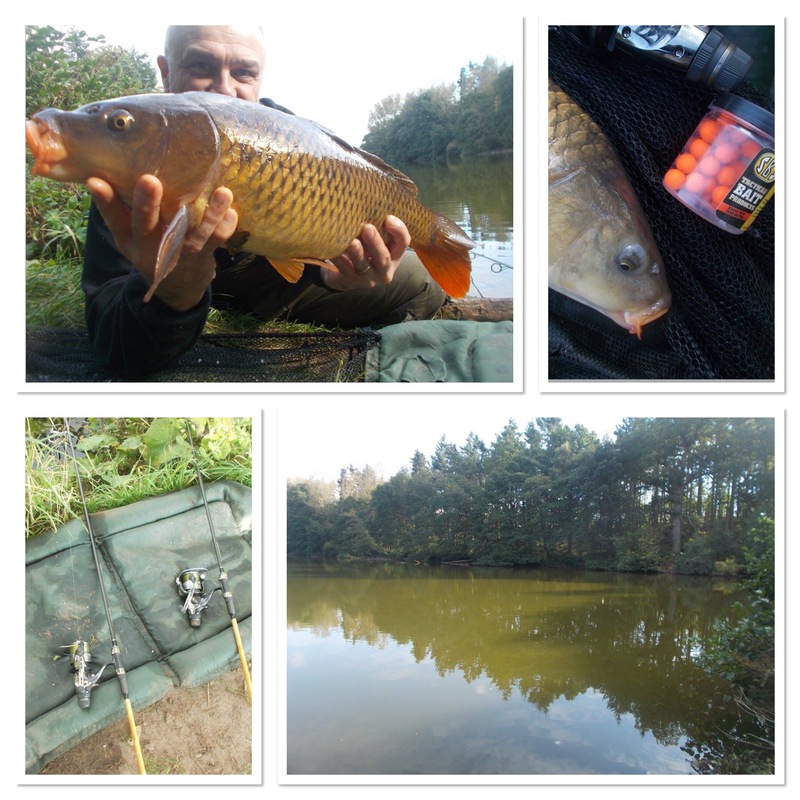 For my third outing, I decided to fish a pool that is a particular favourite of mine as far as winter carp are concerned. Not that we’re there yet, but even in the toughest of conditions, I’ve yet to register a blank. Seggy Pool is on the Kinver Freeliners’ ticket, and although it’s a decent walk through the woods, definitely worth it once you arrive bank-side. It’s a very pleasant venue and, especially in the colder months, one that you can fish without encountering another person. If you’re an exclusive big-fish hunter, the one down-side is that the carp aren’t monsters. However, that’s not an issue for me personally as specimens are relative to the venue anyway. I have found that pop-ups easily out-fish bottom baits on the pool, so I cast an SBS cranberry soluble just three-lengths from the bank. There are no drop-offs, gullies or deep holes, so location in that sense, isn’t as much an issue as it can be elsewhere. The fish are very mobile and they give themselves away very easily, courtesy of feeding bubbles, as they root around in the silty bottom. Casting out with with a PVA bag of proactive multi-mix pellets, I then catapulted loose cranberry boilies in the area to not only bring the fish in, but to keep them there once they arrived. 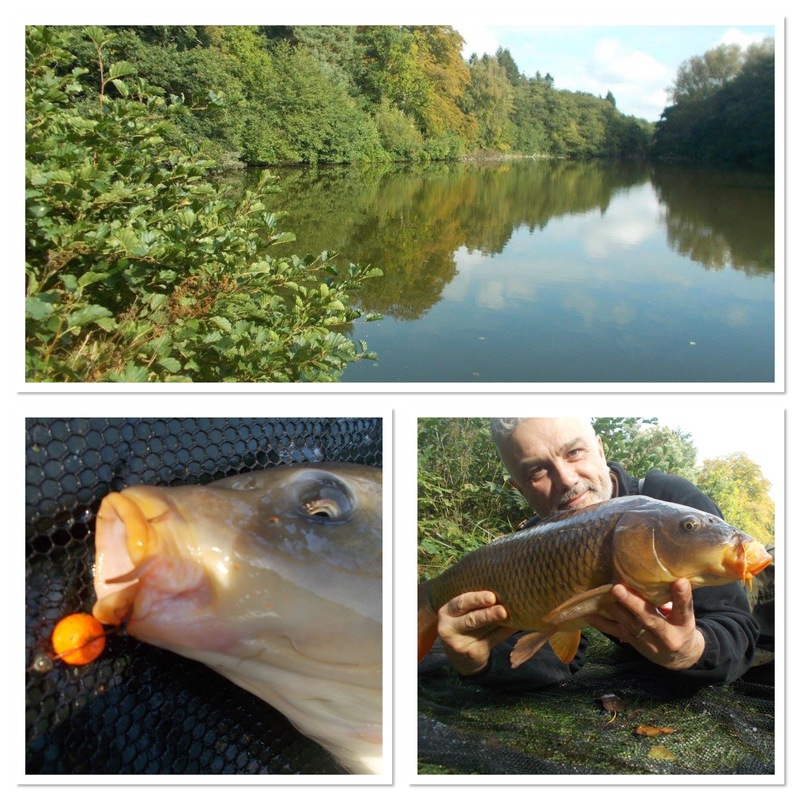 It worked and I caught a number of carp – all commons. You can see some of the action, and the fish, in the accompanying video. What the fish on the venue lack in size, they more than make up for in beauty. Some of the colours are absolutely stunning. I didn’t use a pod or bite alarms, just cast out and laid the rods on the unhooking mat. With my rods already made up it meant that I was fishing much more quickly than if I had the ‘kitchen sink’ job that is often associated with carp anglers. One of the reasons I was travelling light though is that after I had a few on the bank, I headed for another pool. This one, like the venue at the head of the blog entry is a tough nut to crack. Likewise though, although the fish aren’t as obliging, they do go bigger. I’ve only fished there for carp a few times over the years, and although I’ve picked up tench along the way, my target species has always eluded me. It did this time as well. I do intend to crack this tough nut though over the next few months, so as they say, watch this space. 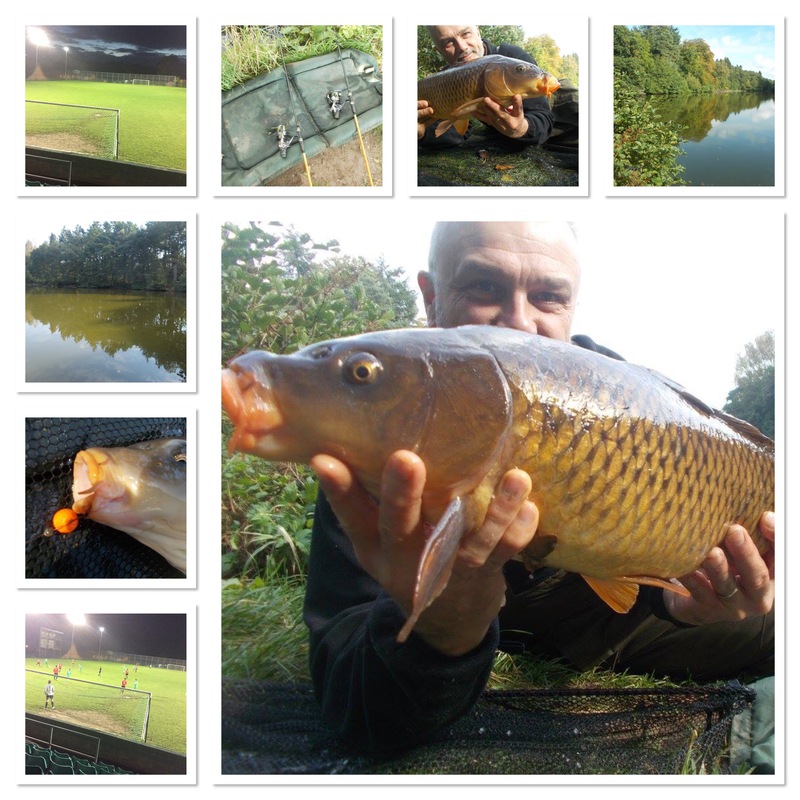 Away from fishing, my other noticeable passion is football, and this season I’m on a mission to visit 100 games. With a recent trip to Smethwick Rangers v AFC Bridgnorth the 40th match since pre-season friendlies began in June, hitting the 2/5 mark saw me well on target. The previous game I had been commentating on the Forfar Athletic v TNS Irn-Bru Cup tie, and now I was a spectator in the West Midland Regional League. But it’s all football. It’s all good. Then for games 41 and 42 I was back in Wales. Firstly, a Welsh Premier League game at Park Hall, followed by a drop down the leagues to Mid-Wales Divison Two. This is the fourth tier in the Welsh pyramid and it was my first visit to Llansantffraid, which was very special. The Recreation Ground, in the village, is where it all began for TNS way back in 1959. Interviewing the next Gareth Bale? Finally, staying with football, I was involved in the TNS Academy photo-shoot last weekend. Held on the pitch prior to the game, thankfully the weather held out and all went to plan. We have a number of age groups at TNS, and the procedure was a team photograph, followed by a live Twitter Periscope chat with yours truly. Who knows, maybe I interviewed the next Gareth Bale without even realising it. Then there’s my column on the TNS website, Rev’s Ramblings. It appears every Monday, and it’s something that I enjoy doing. I’ve always liked writing, and that’s why I’ve produced a blog entry every single Saturday since July 2003. It has always been a labour of love and never a burden. You can read the latest addition on the Welsh champions’ website below.